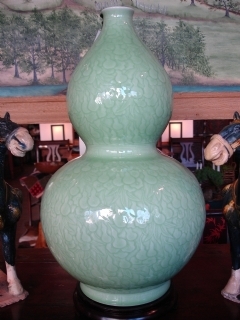 Beautiful celedon gourd vase with wood base. The body of the vase is etched in a leaf design. Striking for an entry way or to top a chest or armoire. Size: 22" high with base and 11" diameter.